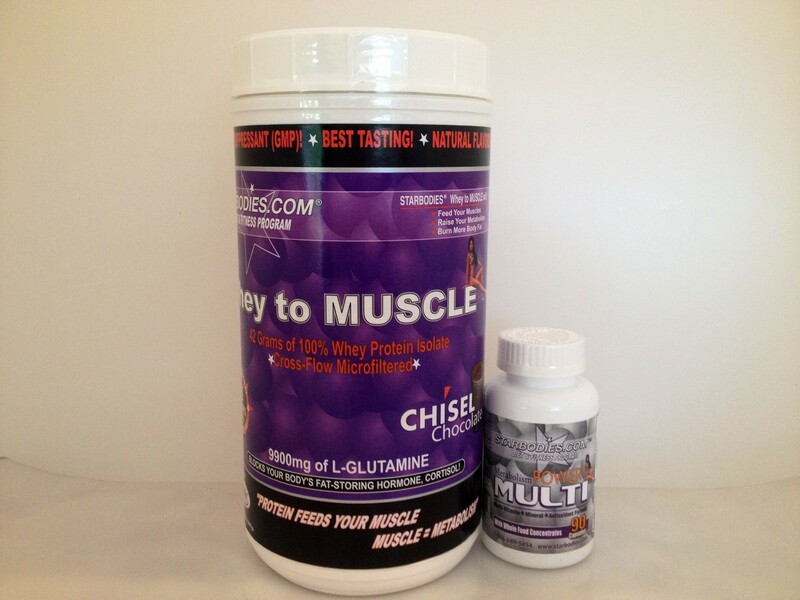 Our Starbodies® Whey to MUSCLE Protein Shakes contain only the very best Whey Protein Isolate, and ADDED L-Glutamine (9900mg Total), for a total of 42grams of Protein, 1 Carb, and only 213 Calories. The taste and creaminess can’t be beat! 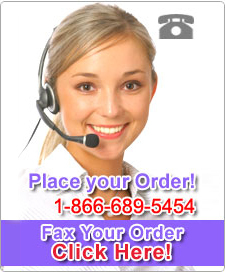 You’ll think you are cheating! You’ll love it! And by drinking Whey to MUSCLE Protein Shakes, you’ll help feed your muscles, which in turn, burn more body fat and calories. 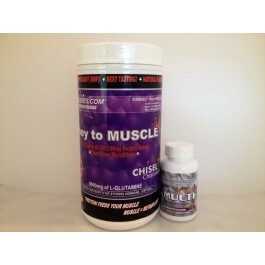 (The more muscles you have, the higher metabolism you will have, the more body fat you will burn!). And our Starbodies® Metabolism POWER Multi helps you meet your daily requirements (because it’s hard to do with just food alone). 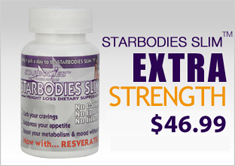 Supplementing your diet with the Starbodies® Metabolism POWER Multi takes the guesswork out and supplies your body with over 42 Vitamins, Minerals, Antioxidants, Herbs, Whole Food Concentrates, and Digestive Enzymes needed to maximize your health & assist your metabolism to burn calories & body fat efficiently. 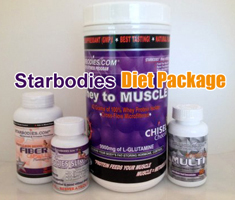 Drink 1-2 Starbodies® Whey to MUSCLE Protein Shakes per day, and take your Starbodies® Metabolism POWER Multi with breakfast.